Donations and membership dues keep our doors open and help us maintain exhibits. Suggested donation when visiting the museum: $2/adult (persons over 13). Located in Mono Lake's Old Schoolhouse, this museum displays both the commonplace and delightfully odd artifacts, photographs, books, maps and equipment chronicling the cultural history of the Mono Basin. Outside exhibits feature Nellie Bly's legendary Upside-Down House, along with farming and mining equipment. Inside the museum see Native American artifacts, gold mining implements and the wheel of the Venita, the Tour Boat that operated on Mono Lake in the 1930s. The Upside-Down House was created by Nellie Bly O'Bryan (1893–1984), visionary, entrepreneur, and long time resident of the Mono Basin. Originally located along US-395 north of the Tioga Lodge, it was inspired by two children's stories—“Upside Down Land” and “The Upsidedownians.” Upon her death in 1984, the Upside-Down House fell into disrepair until it was rescued and moved to its current site in October 2000. 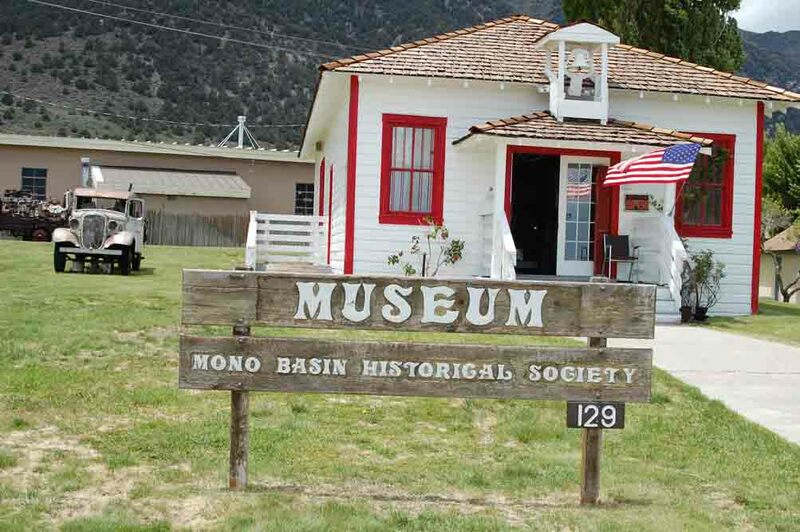 The house became Mono County's first “man-made” tourist attraction in 1956. In 2009, Huell Howser's California Gold television series shown on PBS channels featured the Upside-Down House in a show titled “Places I've Wanted to Go.” Watch a 2 minute edited version at Huell Howser visit to Upside Down House on YouTube Visit to order a dvd. Upside Down House. See Nellie with Charlie Chaplin in a silent film! TOUR INSIDE THE UPSIDE DOWN HOUSE! SPIN THE HISTORIC WATER WHEEL AND WIN A PRIZE! OLD TIMERS' STORIES ABOUT OLD SCHOOL DAYS! RAFFLE! HISTORIC VIDEO!! A VISIT FROM NORA ARCHER!!! 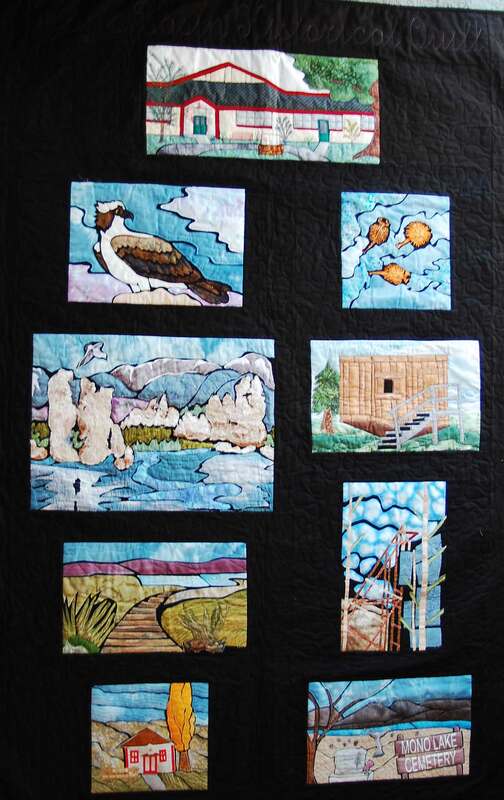 MONO BASIN HISTORY QUILT RAFFLE! This raffle raised over $900!